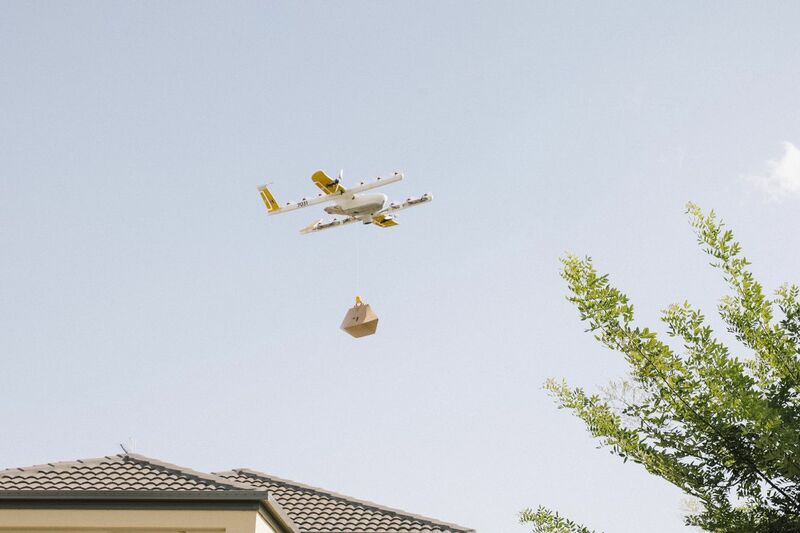 Wing, the drone delivery company owned by Google’s parent company Alphabet, is launching its first public drone delivery service in Canberra, Australia after the country’s aviation authority granted it regulatory approval. Around 100 homes in the suburbs of Crace, Palmerston, and Franklin will initially have access to the service, but in the coming months the company plans to expand it to homes in Harrison and Gungahlin. The service works by partnering with local businesses including coffee shops and pharmacies to deliver their products “in minutes.” Wing’s regulatory approval comes with restrictions. Drones will not be allowed to fly over main roads, they will only be allowed to fly between 7am and 8pm on Monday to Friday (or between 8am and 8pm on Sundays), and they will be restricted from flying too close to people. Customers in eligible homes will also be given a safety briefing about interacting with the drones. Wing predicts that drone deliveries could be worth as much as AU$30 to AU$40 million to businesses in the area, and says drones could deliver as many as one in four takeaway orders by 2030. Wing became a full company underneath the Alphabet corporate umbrella last year alongside the likes of Waymo and Loon after having previously been classed as an X moonshot project. In December, Wing announced that it was launching a trial service in Finland where it would offer 10-minute deliveries for free within the country’s capital. It’s not just Amazon who is competing with Wing to offer drone deliveries. Israeli startup Flytrex began trialling its own drone logistics service in Iceland back in 2017 and Flirtey was making commercial drone deliveries for 7-Eleven in the US back as early as 2016. More recently, UPS partnered with Matternet to experiment with using drones to deliver medical supplies in North Carolina.